Simone Lhote, Paris (by descent from the artist). Suzanne Bermann, France (by descent from the above, circa 1962). Galerie Artcurial, Paris (acquired from the above, 1981). Acquired from the above by the present owner, circa 1981. Paris, Galerie Artcurial, André Lhote Rétrospective 1907-1962, Peintures, Aquarelles, Dessins, 1981, p. 41, no. 16 (illustrated, p. 25). Dominique Bermann Martin and Jean-François Aittouarès have confirmed the authenticity of this work. 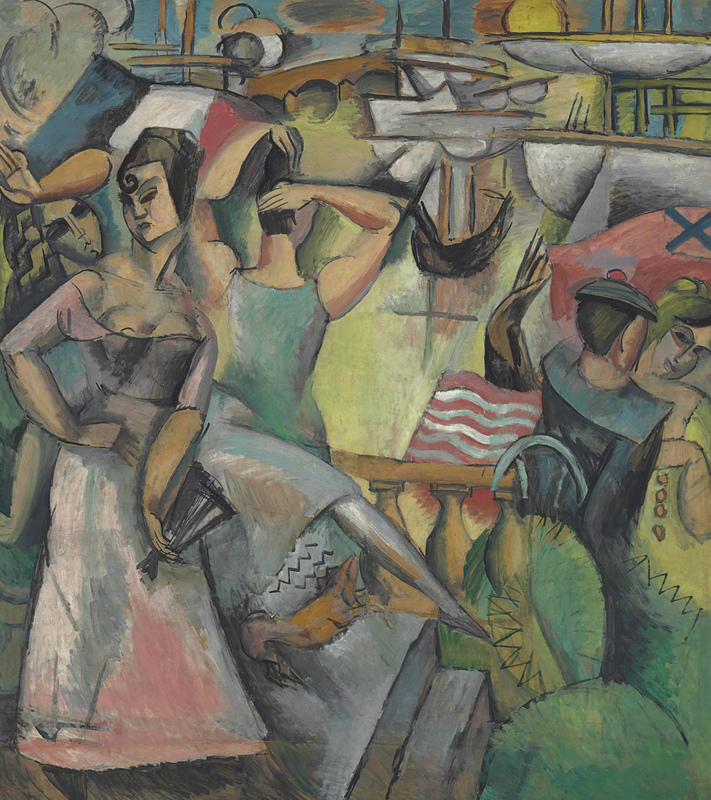 Painted in 1912, the present work is a vibrant example of Lhote's formal identification with Cubism, which began with his participation in the 1911 Salon d'Automne. The fragmented aesthetic and flattened forms of boats add to the dynamic tension of the composition. Escale is a celebration of modern life, and reflects Lhote's goal to connect modern art with the great traditions of French painting. The monumental scale of the work clearly references the Academic tradition of large-scale historical paintings, while its portrayal of a bustling port scene in contemporary France makes it a thoroughly modern twentieth century painting.